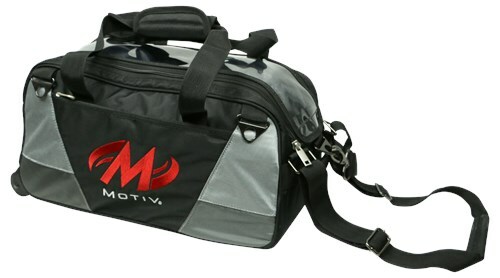 Motiv Ballistix Double Tote makes it easy to see the arsenal of bowling balls inside with a clear-top view. This tote can hold two balls and can fit accessories in the two large zippered storage compartments. The tote handle is very durable which ensures a good grip. This tote has wheels, so it can also double as a roller! Unfortunately, there will not be any room for shoes or accessories for this roller/tote. Due to the time it takes to produce the Motiv Ballistix Double Tote/Roller Black ball it will ship in immediately. We cannot ship this ball outside the United States.